We live in a world where personal brand and online reputation are becoming one of the core values when it comes to landing a job, getting new clients or launching a new product on the market. This was true for companies for years, but now building a personal brand is just as important for individuals and professionals who take their business online. There are many articles on this topic, seminars, webinars and all sorts of educational programs. You can build up your reputation online as a professional, as a company founder, even as an overall successful entrepreneur and investor in many different ways. Let’s look at the core principles. You need to know what you are bringing to the table. What can you give your audience that will benefit them? This question can be tough, but this is the place to start. It can be your experience as a professional in a certain niche. Maybe you are an experienced SaaS founder and can share your knowledge of building new companies. Maybe you have the knowledge other people are seeking and you can teach them. “If you think you have nothing to offer — document. Share your journey”. In other words: bring people along as you grow your brand from the grounds up. After you figured yourself out, you have to understand who you are talking to. Most professionals are selling something to someone. If you’re looking for a job, you’re selling yourself to a potential employer. If you want to start your own business, you’re selling yourself to potential clients. If you are trying to capture the attention of other professionals in your niche, maybe Linkedin is the place to start, since it’s a place to build business relations online. If you want to establish yourself as a reputable speaker, maybe you want to consider making Youtube videos. If you want to share your knowledge and teach people, a personal blog or even an online Academy might be the right way to go. This is, probably, the hardest and definitely the most time-consuming part of building your brand online. To capture the attention of your audience, you need good content. One thing to mention, though, when you evaluate yourself, try to figure out what type of content suits you best. If you feel natural in front of the camera, then buy a tripod, a mic and start filming your videos. If you are good at writing — articles should be your go-to content. Or the third option: you might feel comfortable doing audio podcasts. Recently, this format is seeing a comeback as more and more people are consuming audio content while commuting or during free time. This is a very debatable topic. Different people find different content valuable. However, it is almost universally agreed that knowledge is valued higher overall. According to statistics gathered by content marketers, there is a surge in the popularity of long-form content, particularly on social media. People engage more with Instagram posts that have long captions, read through long Facebook posts, and listen to hour-long podcasts. What does this mean in terms of building your brand? According to Forbes, one of the best ways to establish your expertise online (for a company or personal brand) is to teach classes and workshops. You can use AcademyOcean to do just that — educate your audience, share your knowledge. 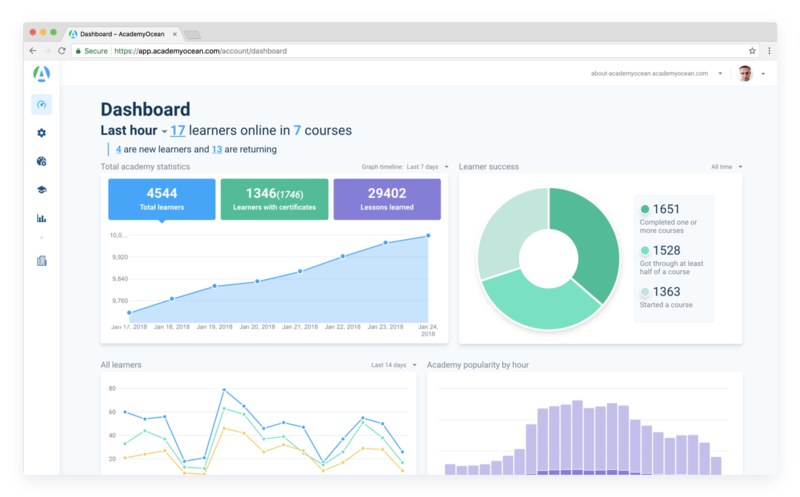 Our tool was originally built to help SaaS companies with customer education, but in reality, it can easily be used to publish any educational content. And the best this is — you can use any type of content, whatever you are best at. You can create lessons with embedded videos, audio lectures, pictures, and even slides . 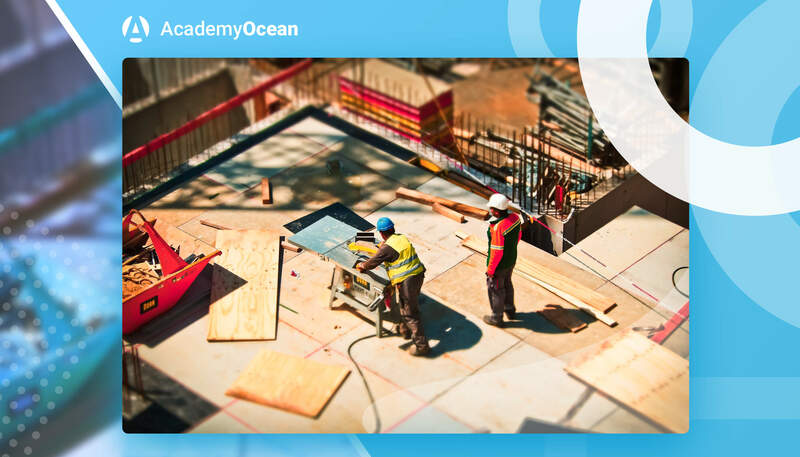 If you want to know more about how AcaemyOcean can help you build your online brand and loyal audience — feel free to contact us or leave a demo request, we will get back to you very soon. Previous PostIs Your Customer Education Working?